Handmade papers created with raw agricultural materials, abaca and cotton pulp. 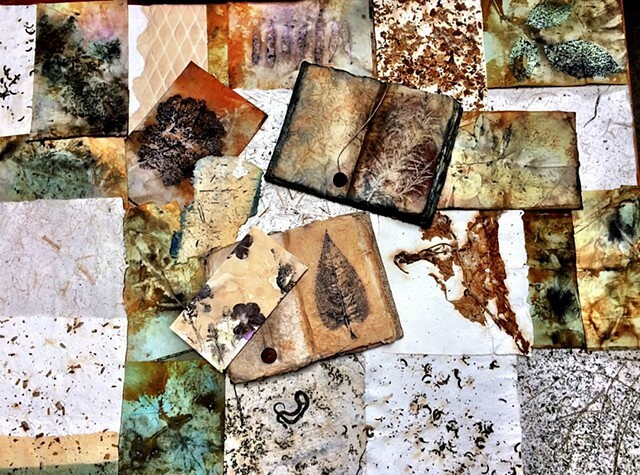 Botanical contact prints created with leaves, agricultural raw materials and flowers. Natural botanical pigments for staining and painting.